There are many big companies like Samsung, Lemon HTC, Sony etc. which makes devices in 3 variants. Those three are compact (for students and other people who don't like to carry big devices), standard (for normal people which doesn't mind using devices more than 4.5 inches and the last one, i.e., large for businessmen who likes big devices or for the people who likes big screened devices. For instance, Sony released Xperia Z, and it came in 3 variants if you remember it. Those were Xperia Z1 Compact, Xperia Z1 (which you saw in TV advertisements), Xperia Z Ultra which was launched after these two variants. Now another example can be of HTC. HTC when released "One", then it also came into three variants and those were HTC One Mini, HTC One, HTC One Max. This is now became a trend of releasing devices with 3 variants, most of the devices today (which are popular) comes in 3 models only. Because there are some people (like me!) who doesn't like devices more than 5 inches because it is difficult to carry them and are not handy. I like Standard devices but hate small ones with less than 4 inches. We have seen HTC, Samsung, Xperia and other high-class companies releasing devices in variants but it's now time for Micromax to show it's magic! 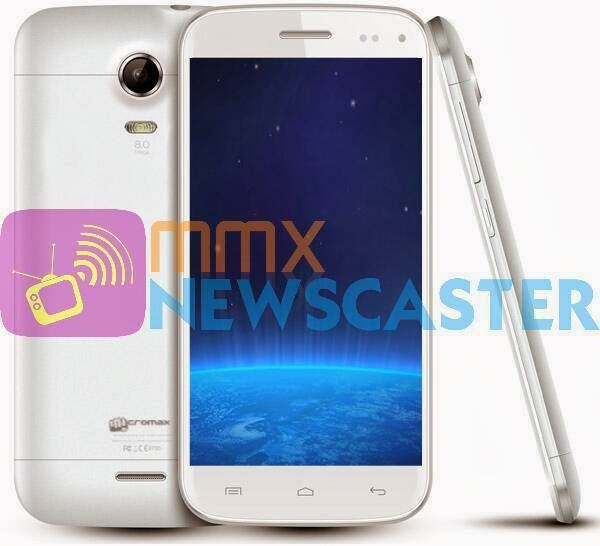 Micromax A250 Canvas Turbo was released in 2013, last year and had became popular because of its RAM, that was 2 GB which has never been released in any Indian mobile phone before. Micromax are bringing new technologies to India like they brought blow to unlock feature, first Indian device which had 1 GB RAM (Micromax A116 Canvas HD), first device which has got Android updates, OTA updates, first mobile phone to have 2 GB of RAM etc. Micromax is actually on the ladder of the success. Now let's get back to our main topic that is of Micromax A250 Canvas Turbo Mini. We don't have any news about the price and the launch date of this device but it is said that the device will launch on or after February 2014. Here is a leaked image of this device which was uploaded by MMXNews Caster @Twitter. We don't know that is this legit or not but there is no fake news that is leaked by MMXNews Caster in the history so we hope its true. Thanks for MMXNews Caster for sharing this news and this picture!